All football clubs suffer from player injuries, which have the potential to make or break seasons and impact the chances for silverware. But which teams have the worst luck when it comes to injuries to players? 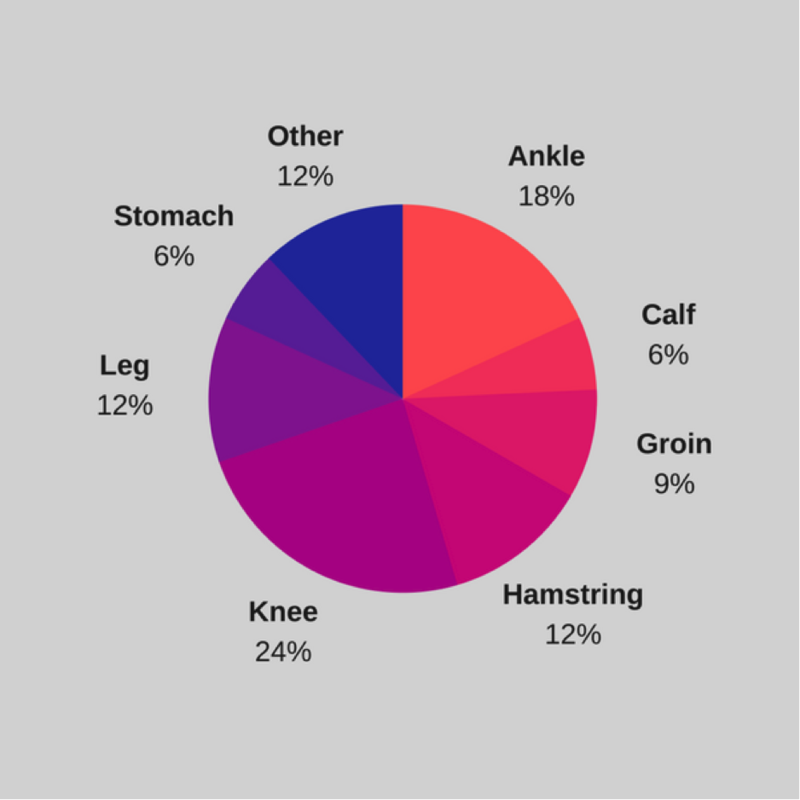 Cute Injury have analysed the data for every Premier League team over the past six seasons (including the current 2017/18 season) to get an idea not only about what injuries football players suffer from, but also which teams’ players get the most. 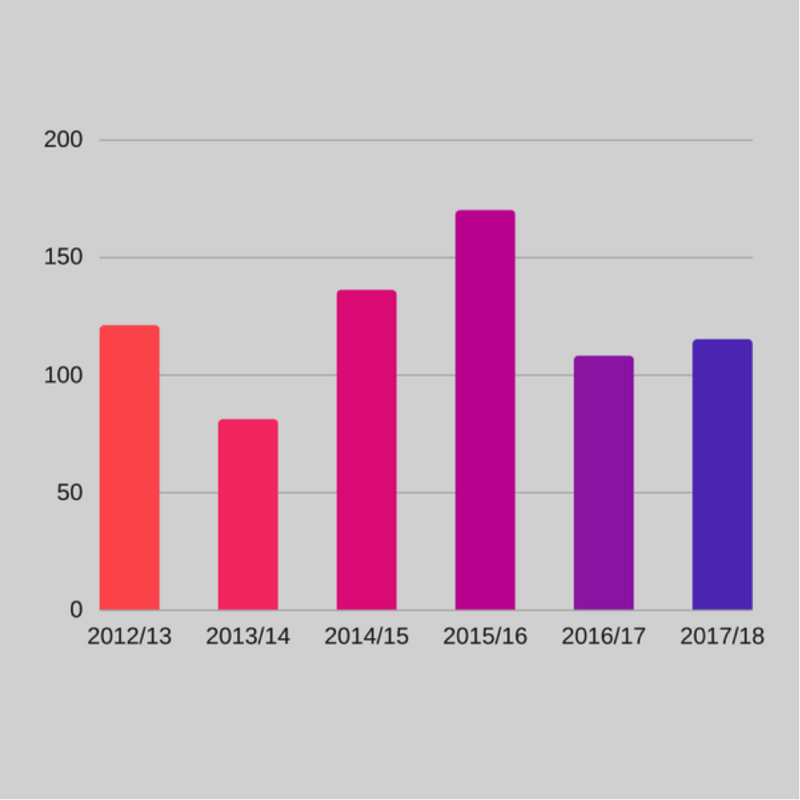 See the full data here, and read on for a full breakdown of the injuries to Manchester United players over the past six seasons. Manchester United have averaged just under 25 injuries per season over the last six seasons, with the 2014/15 season being the worst with 37 injuries to players – very close to one for each Premier League game. In comparison to every other team that has been in the Premier League over the past five seasons, Manchester United have had the second most injuries with 146 in total. To judge the extent of Manchester United’s injury record, they also looked at how many games were missed by players due to injury over the past six seasons. 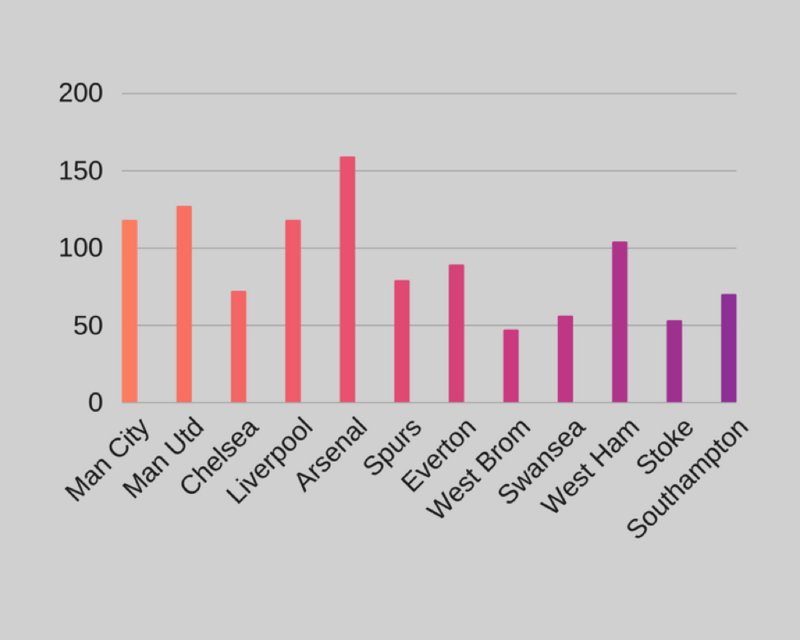 On average, United players missed 122 accumulative games each season because of injury – which means each injury resulted in an average of 5 games missed. 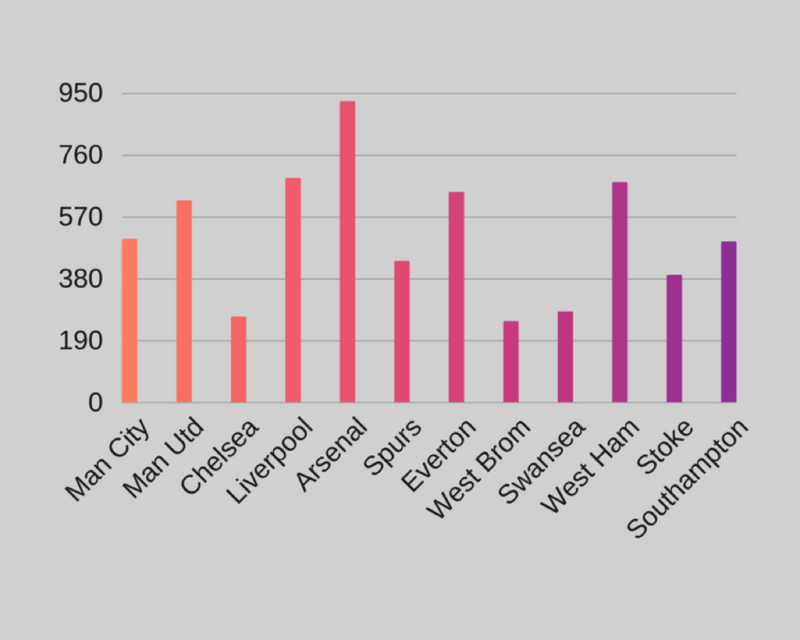 Again, when compared with the other ever-present Premier League teams over the past five seasons (not including this season), United have one of the worst records of games missed due to injury – behind Arsenal, Liverpool, West Ham and Everton. So we’ve established that Manchester United have one of the worst Premier League injury records in terms of number of injuries and the amount of games missed. Now let’s look at how those injuries are spread across the United playing squad. 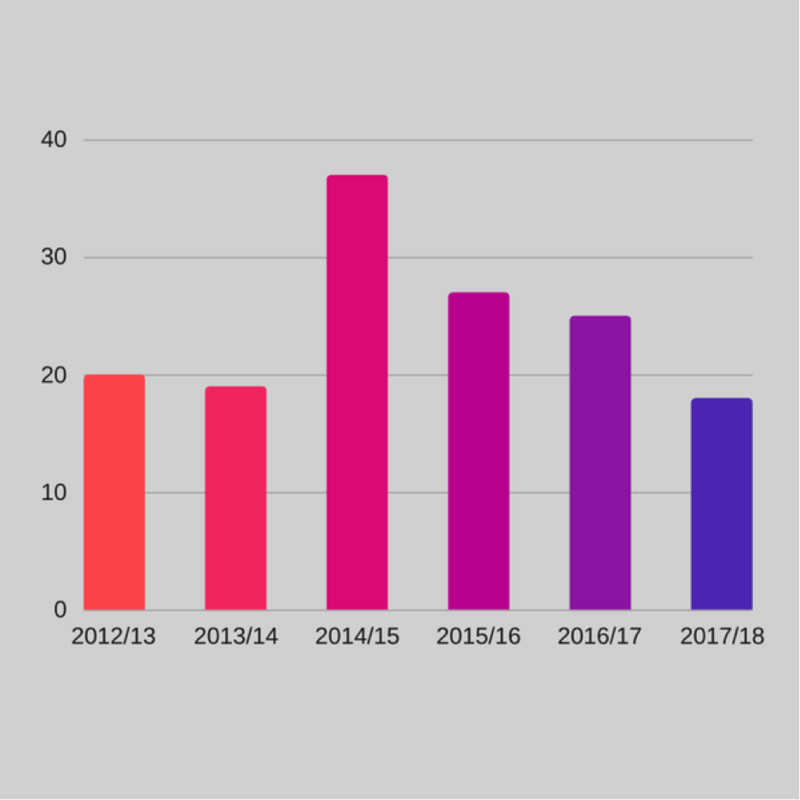 United’s defenders account for nearly half of all the injuries suffered by players over the past five seasons – well ahead of forwards and midfielders who account for just over a quarter of all injuries each. 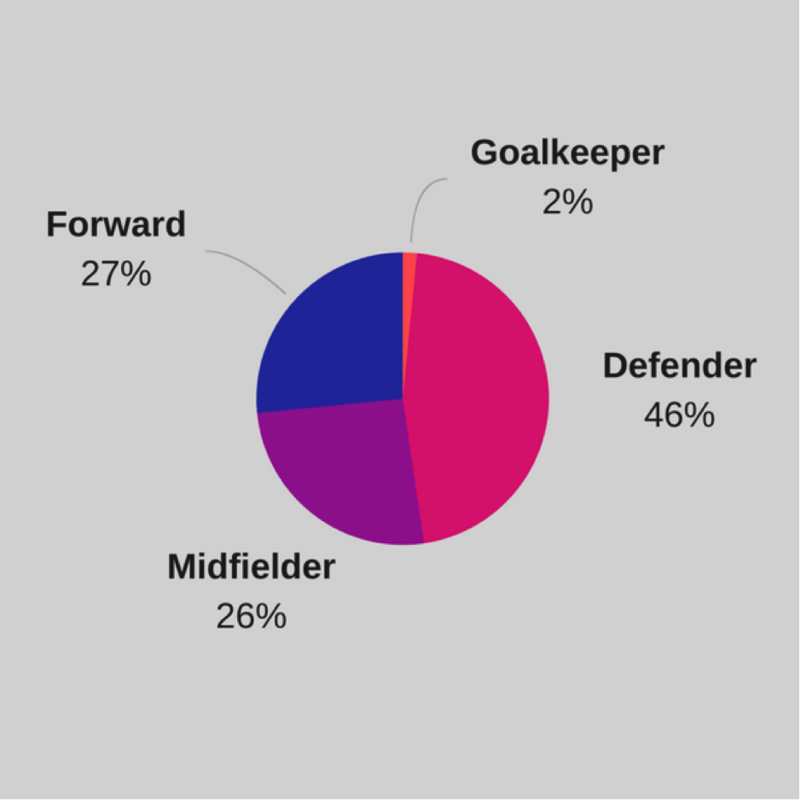 Now let’s drill down into what type of injuries affected Manchester United players, and see what patterns exist in terms of what injuries affect each position. 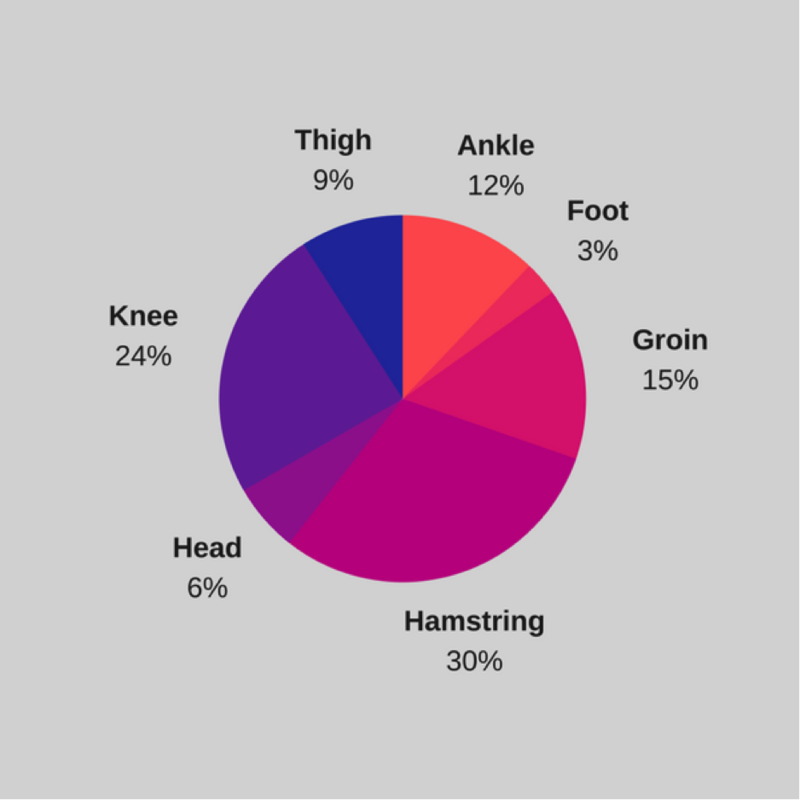 Hamstring injuries are the most common for Manchester United’s defenders, followed by ankle and knee injuries and then shoulder injuries. Man Utd’s midfielders struggled most with knee injuries, followed by ankle and then hamstring and leg injuries. United’s forwards are most prone to hamstring injuries, followed by knee and then groin injuries. To get a further insight into Manchester United’s injury record over the past five seasons, they also looked at what month each injury happened. 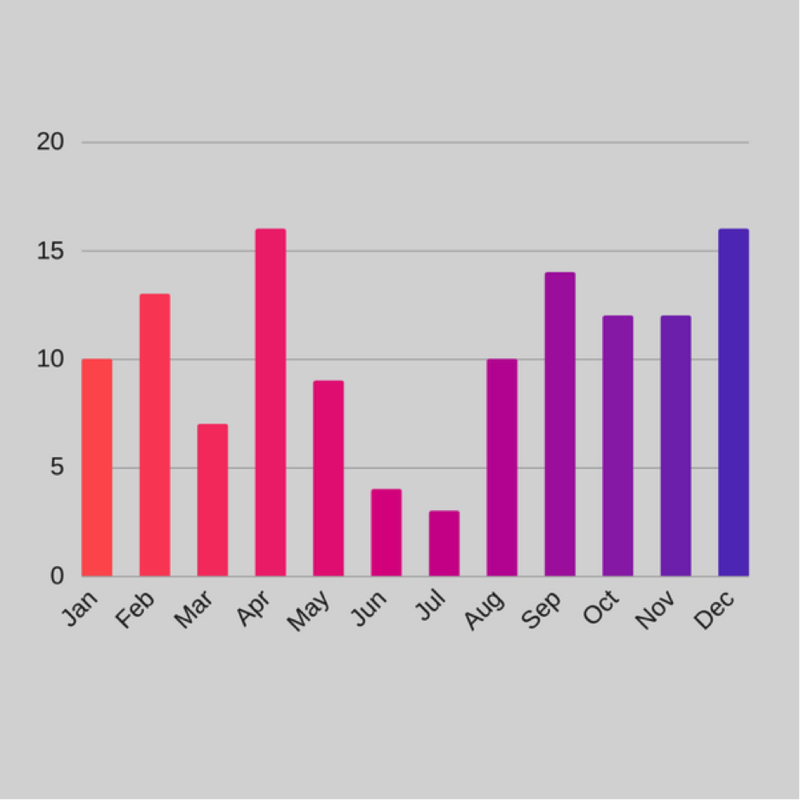 April and December are the months that see the most injuries to Man Utd players, suggesting that injuries are more likely as the fixture list gets busier over Christmas and when the long season is coming to an end. Interesting data, I have always had a feeling that we are unfortunate with injuries. I mean Chelsea hardly had days missed compared to us..
On the other hand its also part of scouting process to determine injury potential so maybe there's a problem there. We're unfortunately a commercial club, rather than a football one now. This is just one of many ways they problematic way we're run is manifesting itself. Cool article,at one stage seemed like we dropping like flies,I wonder how much of the stats are Phil Jones,lads always hurt. Look at Arsenal off the charts,you’d imagine theses days with big squads and all and the advances in training,medical staffs,equipment etc you see less. Why when I were a lad the ball was made of pure cement and we’d play in the rain and sleet and snow in our bare feet,against a side of 6,2 monsters and no one ever got hurt ever not once,all we had a half time was warm Bovrial and a cut of bread with lard on it,there were ard times they were,but it was proper football. They never gave you a wedge of orange?